Buy Big. Buy Small. Buy Big Box. Buy Local. Just Buy in Broome. When you shop in town, you directly support your neighbors. From the smallest boutiques to the biggest big box stores, each business is still operated and employed by Broome County residents. With every purchase, you help them pay rent, send their kids to school and have the means to invest right back into Broome County. When you invest in your community, you invest in your future, too. With the holiday season upon us, it’s important to remember why it pays to shop in Broome County. Big or small, locally owned businesses have the proven ability to boost our economy. Broome County and the Greater Binghamton Chamber of Commerce are proud to introduce Buy in Broome, a campaign to educate and excite Broome County residents about the importance of supporting local businesses. More money stays in the local economy. The money you spend at local businesses creates a chain effect of economic growth. From small cafes to big box companies, local businesses also pay property taxes that help improve our roads, parks, public transportation and more. Your tax dollars are reinvested where they belong. When you invest in local businesses, you give them the means to generate more employment. And more jobs means more stability and retention in Broome County. Local investment strengthens local networks. Shopping local creates a relationship-based economy. Thriving local businesses work together to generate more community-driven events, share local ingredients, give back to local charities and better meet demands unique to your interests. Establishing relationships with local businesses means you get better personalized customer service. Local businesses don’t view you as a number. They value each customer and each interaction because your satisfaction is vital to their success. Postal delivery services need to move packages across vast distances, sometimes even across countries. Often, the packaging is excessive and made of single-use plastic. Shopping local minimizes waste, reduces travel time and creates incentives for sustainable business practices. Get everything you need to showcase your event and spread the word about shopping local. 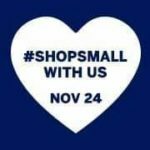 These fun events are a great way to start shopping local. Bring a friend! Holiday Open House - Dove & Co. 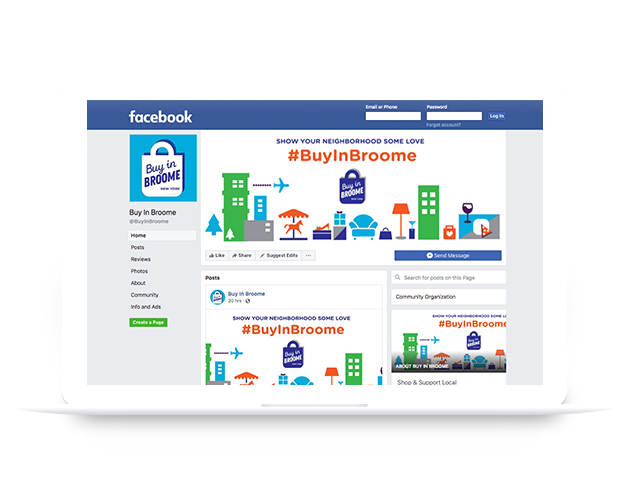 Snap a pic and use #BuyInBroome to have your photo featured on our web feed! Follow @buy_in_broome to show your neighborhood some love.